Raccoons Rags: A post for my EU customers. I was kind of horrified about the new EU laws on VAT. Most of us micro-businesses are. There seems to be no turnover limit (like there is on regular VAT charged in the UK) to exclude tiny businesses from this administrative nightmare. I won't go into the ins and outs, I can almost see your eyes glazing over already, but now Etsy are listing my PDF download prices with the VAT inclusive, and it looks to my EU customers like I've raised my prices. I have not. I am not getting the extra... 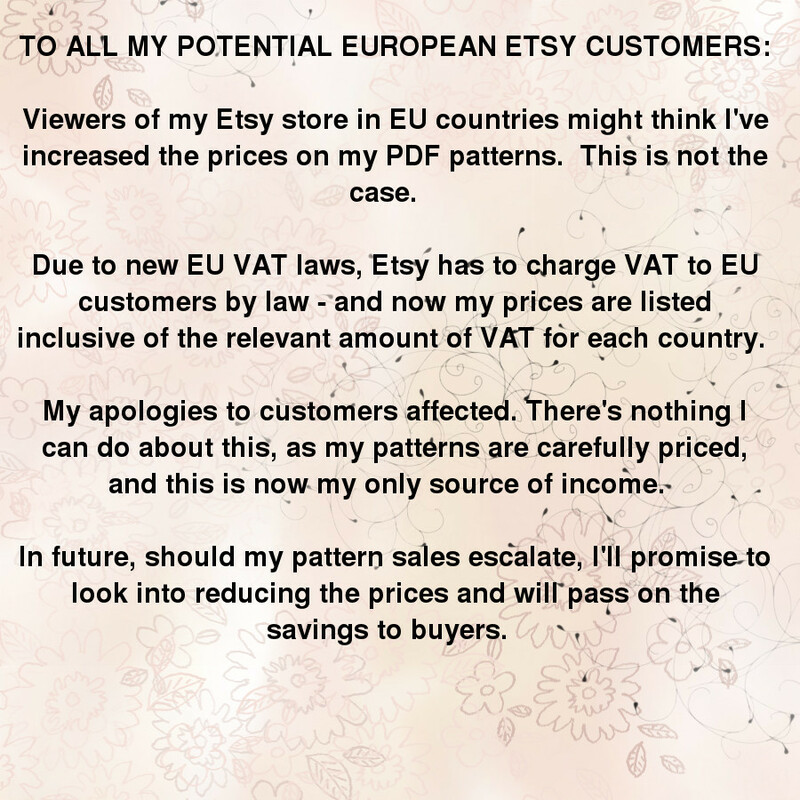 I have to pay it all back to Etsy, and they pass it on to our tax office, HMRC. In the meantime, I suggest my EU and British customers look to my Craftsy store. Prices vary day-to-day, due to the exchange rate, but I suggest you all go there and compare the prices with Etsy, before purchasing. None of this affects my American, Canadian, Australian, customers, or anywhere outside of the European-Union.